Disney movies are big business in Hollywood, precisely because audiences know exactly what they're getting. You want singing, dancing animals? You got 'em! You want year after year of continuously disappointing Star Wars sequels? You got that, too! You want a disturbing, morally complex story featuring murder, mutilation, public hangings, and troubling racist tropes? Well, you got tha-! Ummm … wait, what? While there are likely very few out there who'd associate the House of Mouse with flagrantly disturbing fare, the truth is that there should be way, way more of them. Ever since Walt Disney first picked up a battered old copy of Cinderella, read the scene where the ugly stepsisters hack off parts of their own feet to fit them in the glass slipper, and said "you know what? This would make an awesome kids' film," Disney movies have been borrowing their plots from some seriously dark places. You've probably heard before how fan favorites like The Little Mermaid are based on disturbing originals. You probably haven't heard that this description could apply to almost any Disney classic. Disney's The Hunchback of Notre Dame is a family film about singing gargoyles and how Hollywood can't let an ugly dude get the girl even in his own movie. Victor Hugo's Notre Dame de Paris is a weighty 19th-century French tome about how monsters can lurk inside us all. If that sentence is making you wonder how anyone could make a feel-good animation from it, you're not the only one. Disney jettisoned most of the novel when they brought it to screen in 1996. Good job, too. Hugo's book is nightmarish. Let's start with Esmeralda. In Disney's take, she's the strong-willed ethnic stereotype who steals Quasimodo's heart before marrying another man. In the novel, she's the poor gypsy girl who Quasimodo attacks, and who ends the story being publicly hanged for a murder she didn't commit. Wow, that's … different? Okay, so how about Captain Phoebus, who starts the film as a morally ambiguous character before becoming a full-fledged hero. Well, he starts the book as a morally ambiguous womanizer and ends it by refusing to save Esmeralda from the gallows because her death means he'll be able to start screwing his cousin. 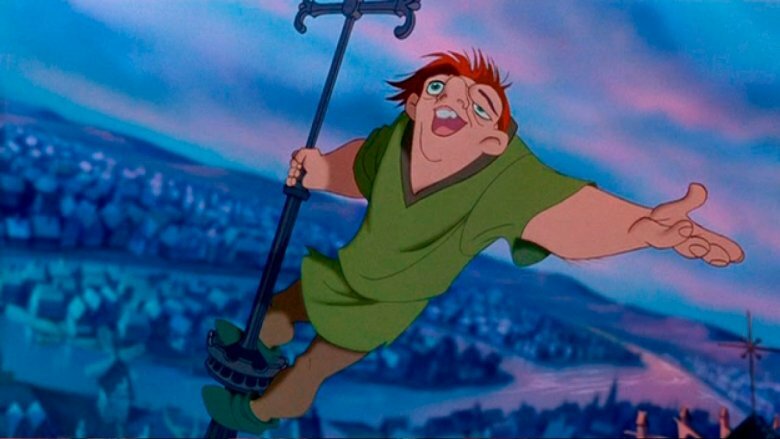 Finally there's Quasimodo, who ends the film accepted by Parisian society despite his ugliness. In the book, he vanishes after killing his surrogate father, only for his corpse to be dug up decades later, pathetically clinging to that of Esmeralda. Oh, and he gets tortured on the rack for two hours earlier in the story, because of course he does. 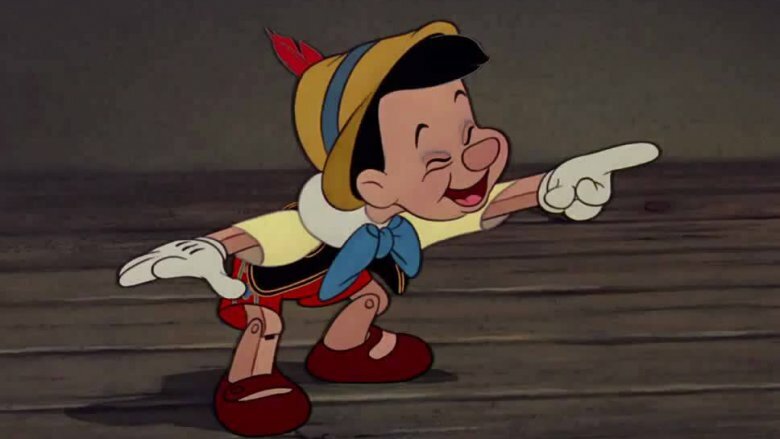 The story of a puppet who wants to be a real boy, Pinocchio has both charmed generations of kids who identify with its naughty protagonist and traumatized generations more with that super-screwed up scene where children start turning into donkeys. 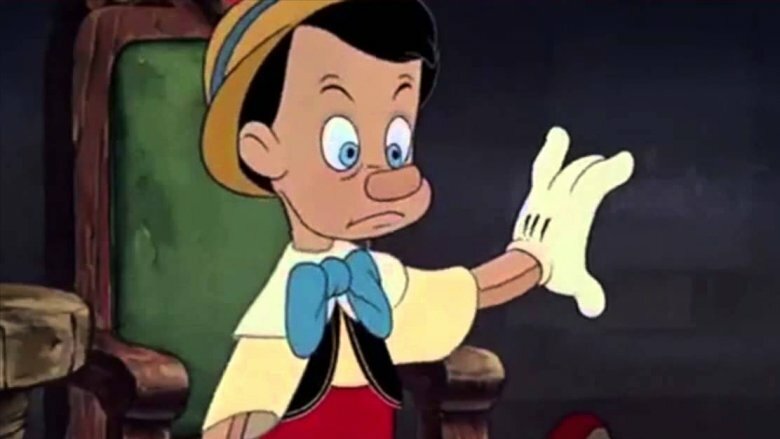 Had Walt Disney done a completely faithful adaptation of Carlo Collodi's 1881 Italian novel The Adventures of Pinocchio, he'd have traumatized plenty of adults, too. Forget growing a pair of unexpected donkey ears, the original Pinocchio features the puppet killing his own best friend. It's not an accident or anything, it's just murder. You've probably seen the Disney movie and know Jiminy Cricket as the fussy but ultimately wise mentor to the wayward puppet. Well, in Collodi's version, that wisdom doesn't have time to appear. No sooner has the cricket entered the narrative than Pinocchio kills him with a hammer. If you think this is bad, hoo-boy, are you underestimating just how twisted Collodi's imagination was. Pinocchio in the book is a prize jerk. He steals Geppetto's wig. He laughs mockingly in the old man's face. So maybe it's no surprise that Chapter XV ends with a group of assassins lynching him from a tree. The last line features the last breath leaving Pinocchio's throat and the puppet apparently dying. Sure, he's ultimately rescued in the next chapter, but there are still some things you probably shouldn't put in a children's novel, and lynching the main character is one of them. Usually, any Disney movie made from a book winds up becoming the definitive version (see: the entire rest of this article). That's not the case with Oliver and Company, a 1988 film that took Oliver Twist by Charles Dickens and turned all the characters into cats and dogs. Well, almost all of them. Villain Bill Sikes is still human, as is lovable rascal Fagin. All of which brings us to the problem with Dickens' original story. In the novel, Fagin is less "lovable rascal" than he is "evil Jewish stereotype" (via the Telegraph). Ever wondered why Fagin is so obsessed with money? Or effectively kidnapping children? It's because those are two things gentile society thought it knew about Jews in the early 19th century, along with them being in league with the devil. So Dickens' second novel is full of descriptions designed to make Fagin as Jewish and as devilish as possible. He has a huge nose, matted red hair, long black nails, and fangs that are like "a dog's or rat's." Nor is Dickens coy about Fagin's heritage. The only other Jew to appear in the book is described as "younger than Fagin, but nearly as vile and repulsive in appearance." "But it was a different time!" The most depressing corners of the internet cry, "surely everyone was basically racist back then?" Ha, if only. When the book was first serialized in 1837, it prompted reader complaints for its anti-Semitism. 1981's The Fox and the Hound is chiefly remembered for featuring an early credit for Tim Burton and for being a moral muddle. Come the end of the film, fox Tod and dog Copper may have proved they can still be friends in a society that doesn't want them to be, but they're also keeping their distance and not actually acting like friends at all. There's no such moral ambiguity in Daniel P. Mannix's original novel. As far as Mannix seems concerned, the only possible message is nature is horrible, everything dies, and the gassing death of baby animals is a totally legit topic for a children's book (via Tor). In the book, Copper and Tod aren't former friends. The only connection they have is that Tod managed to get Copper's dog-buddy Chief killed after luring him in front of a train, and now Copper and his master have sworn revenge. The whole rest of the book is just the two of them trying to kill Tod. Tod alternately escapes and seduces vixens, and plenty of animals die nasty deaths. This is a book in which casual murder is just how everyone rolls. In two separate sections, Tod impregnates a vixen, who gives birth to cubs. Both times, Copper tracks those cubs down and his master gasses them to death in their sets. At the end of the book, everyone just kinda gets rabies. Who said the film can never be as good as the book? 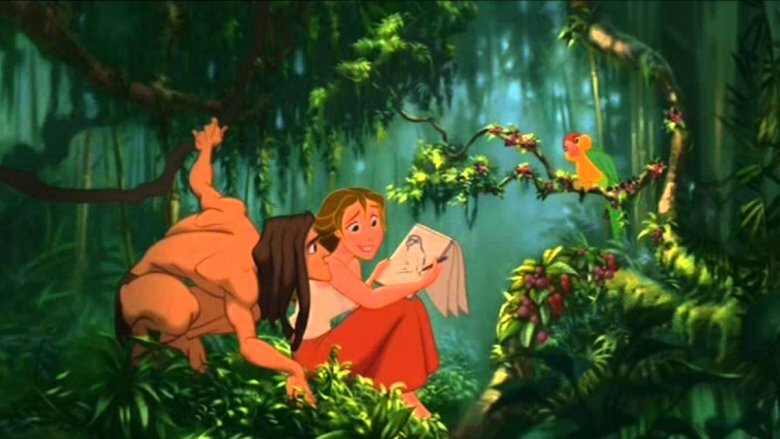 It might be a minor film in the Disney canon, but 1999's Tarzan is mostly rollicking good fun. Featuring both some serious action, and one of the darkest onscreen deaths of a villain in studio history (Clayton unintentionally hangs himself), Tarzan is exactly the sort of classic fare almost no one could object to. A good reason for that might be that the film owes more to the countless other Tarzan and Jane adaptations over the years than to Edgar Rice Burroughs' original stories. Burroughs was writing in 1912, when U.S. race relations were at their nadir. As a result, Tarzan of the Apes frequently feels like it's coming straight from the alt-right. ThoughtCo outlines the most objectionable moments. Tarzan's biological father is called a member of "the higher white races." Thanks to his questionably kickass genetics, Tarzan himself is like a Superman designed by Joseph Goebbels. His abilities flow from his white skin as naturally as bunkum flows a "race realist's" pen. The few black Africans who do surface in the novel are described as being "savage negroes" with "bestial faces." Meanwhile, the white dude living wild in their forest still manages to look dashingly handsome, despite being raised by animals. There's also the way Tarzan keeps on killing those Africans. Sure, he has a reason, in that one tribe killed his adoptive ape-mother, but, as PS Mag points out, the sort of collective punishment he dishes out is eerily similar to Leopold II's contemporaneous actions in the Congo. Not exactly family fare, huh? The Jungle Book is one of those movies that already causes Disney some headaches, given that a whole lot of people think King Louie is kind of a racist stereotype. Still, that does at least mean no casual viewer is gonna go back to Rudyard Kipling's original stories and be surprised that they're less than PC. Actually, they'd probably be more surprised by the sheer amount of physical abuse Mowgli goes through. 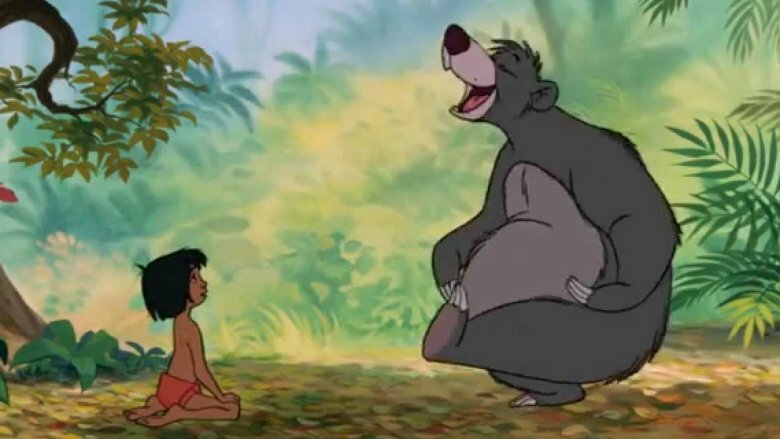 Far from being easygoing mentors, the book's versions of Baloo and Bagheera beat the heck out of Mowgli every time he screws up. The Guardian has the details. Kipling was not just some hack who romanticized the Indian jungle. (He sure did romanticize colonialism, but that's another story.) He was a guy who'd been born into the British Raj in Mumbai, and he knew just how savage nature on the subcontinent was. So he brought all that into his Jungle Book series. When Mowgli fails to swing properly from some vines, he gets a beating for his efforts. When he disappoints Baloo, he gets "as severe a beating as you could wish to avoid." Take out the haunting descriptions of nature, and The Jungle Book is basically a story of animals lining up to whale the tar outta one poor kid. 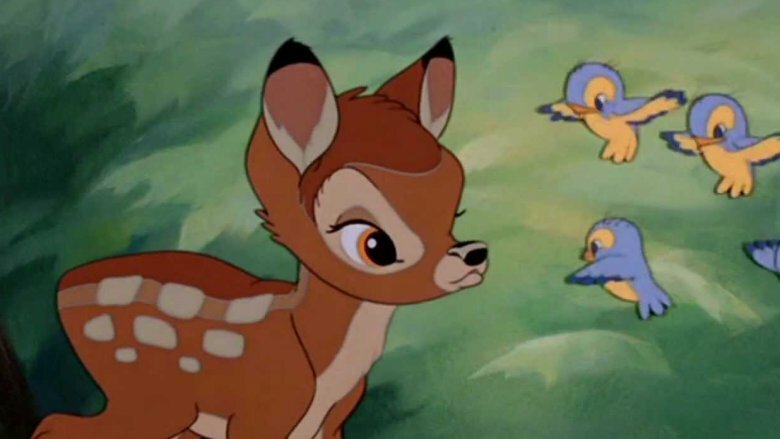 1942's Bambi is notorious for killing the title character's mom in such a disturbing way that "I cried when Bambi's mom died" is basically the go-to statement for people who want to prove they have a soul. Readers of Felix Salten's original 1923 book would laugh at such sentimentality. The world Salten paints is harsh. So harsh that death is almost unremarkable. Far from being a friendly children's book, Bambi: A life in the woods is a nonstop account of all the miserable ways everything can die. As Tor explains, there's not a single entity from the Austrian countryside that we don't witness in its final death throes. During the winter scenes, we get protracted descriptions of furry animals starving to death — possibly based on Salten's own experiences of growing up hungry. During spring scenes, we get hunting animals eating other animals alive. In summer, men come along with guns and shoot half the cast to death. And in fall, Salten takes time out from his unstoppable slaughter to explore what goes through the mind of a leaf as it withers and dies. If that sounds kinda depressing, you don't know the half of it. 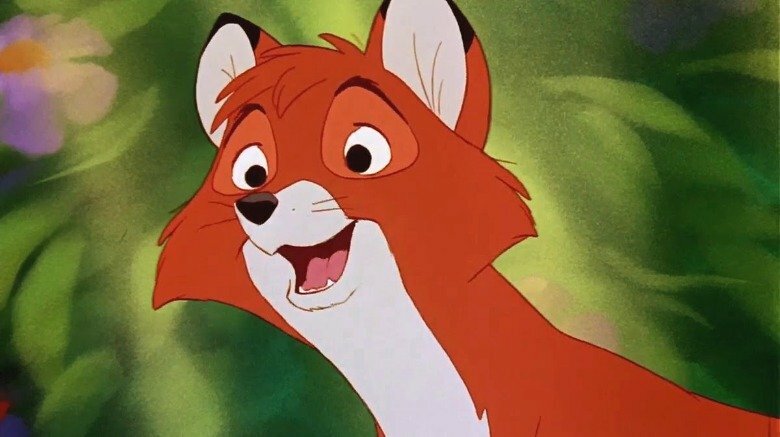 There's an argument that Bambi is Salten's allegory for Jewish persecution in the early 20th century (via Jewish Review) and that the hunters are callous gentiles, while the murderous Fox is the rising fascism that would soon devour half of Europe. No wonder Disney dumped Hitler-Fox in favor of a talking rabbit. It's said that P.L. Travers absolutely hated Disney's 1964 adaptation of her novel. 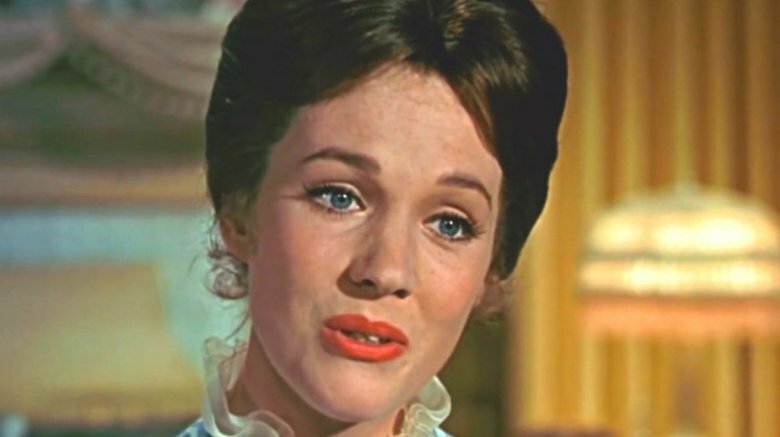 Julie Andrews as Mary Poppins was just too sugary sweet, too nice, and too upper class. She was exactly the opposite of the rough-around-the-edges working-class hardass Travers had envisaged. 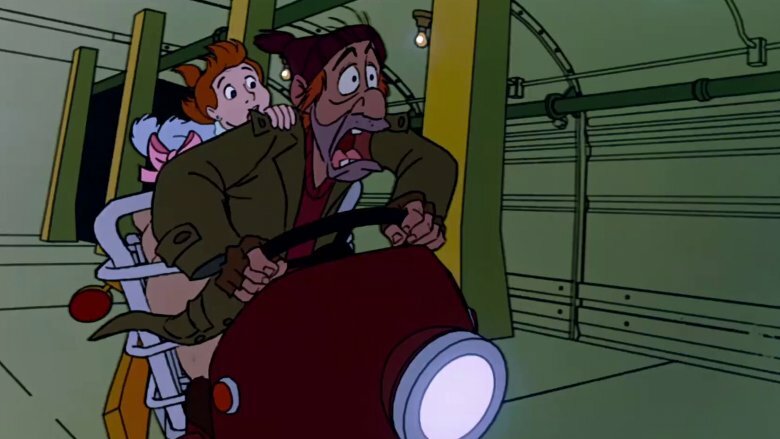 Not that Disney could have ever done a literal onscreen depiction of Travers' magical nanny. The original Mary Poppins is an elemental, pagan spirit with a sadistic streak so wide she'd make Mr. Banks poop his trousers. This harsher version of Poppins is there from the get-go, when she arrives at the children's home. While the movie has her floating down gracefully on an umbrella, the book has her thrown against the front gate during a terrifying, elemental storm (via the Guardian). Travers also gives her the social skills of Sheldon Cooper, writing that she "never wastes time being nice," and having her constantly berate the children for stepping out of line. Sure, all the magic is still there, but it's shot through with a streak of darkness. When one of the children disobeys her, Poppins turns the evil spawn into a picture on a plate (via Britannica). Messed up as Poppins is, her family is even worse. One of her cousins is a pagan snake god that enjoys eating itself and gives the nanny the questionable gift of its own shed skin on her birthday. Is there anyone reading this not hoping Disney does a faithful adaptation right now? 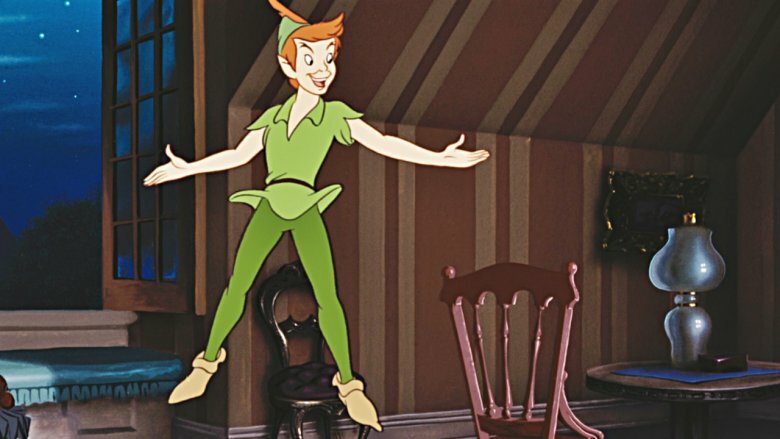 In 1953, Disney introduced the filmgoing world to Peter Pan, the mischievous boy who whisks Wendy away to Neverland. By that point, the literary world had already known Peter for 50 years, starting with J.M. Barrie's 1904 play Peter and Wendy and its 1911 novel adaptation. They also knew he wasn't merely mischievous. The Peter penned by Barrie went beyond naughtiness and into a kind of transcendent space of jerkiness. Put simply, the original Peter Pan was a schmuck. Examples of Peter's behavior basically all boil down to Peter acting like a psychopath while Wendy appears as his helpless enabler. On the original flight to Neverland, little Michael falls asleep, only for Peter to repeatedly drop him out of the sky. The text is quite specific that Peter treats it all as a game. Wendy has to keep begging him to swoop down and catch the baby before he splats, and it's clear Peter could get bored and let Michael die at any time. Then there are Peter's activities in Neverland. Aside from actually killing the Indians he fights, he also likes to switch sides mid-battle and fight the Lost Boys just for kicks. It's even somewhat implied that Peter occasinoally killed Lost Boys to thin the herd. But the biggest difference comes when Wendy and company decide to go home. In the film, they wake up in their beds to discover a single night has passed. In the book, it's been months and their parents are half-mad with grief.